Spark is a community-driven hub connecting people, businesses, and resources. It is also a collaborative work space that provides access to professional services, skills training, equipment, technology, and classes. Spark is a project of WonderArts that makes high-tech equipment and quality professional development opportunities available to artists, entrepreneurs, local businesses, and students in Craftsbury, Greensboro, Hardwick, and beyond. Designed to cultivate creativity by offering classes in graphic design, web development, business planning, computer software, and marketing, Spark also houses equipment such as 3D printers, large format printers, scanners, computers, a laser cutter and more to help turn ideas into designs, and make designs come to life. Let’s bring people of all ages and abilities together to use technology and equipment as a way to collaborate and build upon ideas, skills, community, and innovation. WonderArts hosts regular Spark information and planning sessions at the program space in Greensboro. If you are interested in getting involved with the project, contact spark@wonderartsvt.org or call 802.533.9370. Check out the SPARK Website! This project is made possible in part by a USDA Rural Development - Rural Business Development Grant in the amount of $58,947. This funding supports the purchasing of equipment for SPARK, a creative incubator space, in the Northeast Kingdom. 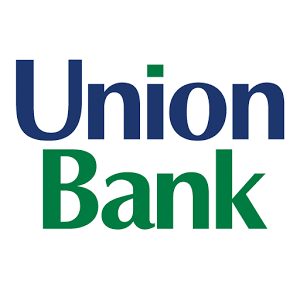 Spark is also supported in part by Union Bank. Rural Development is a branch of the U.S. Department of Agricultural committed to helping rural communities thrive. USDA Rural Development invests in housing, community infrastructure and rural economic development in order to increase economic opportunity and raise the quality of life for Vermont and New Hampshire’s residents. Through the Rural Business Development Grant program, USDA Rural Development invests in innovative projects with the potential to catalyze economic development is the rural communities that they serve. For more information on Rural Development visit the Vermont Rural Development website or call (802) 828-6000.